Today I've got a polish from the Cast A Spell Part 3: The White Witch Collection from Glam Polish. I am in love with this entire collection; it's so sparkly and perfect for Spring! 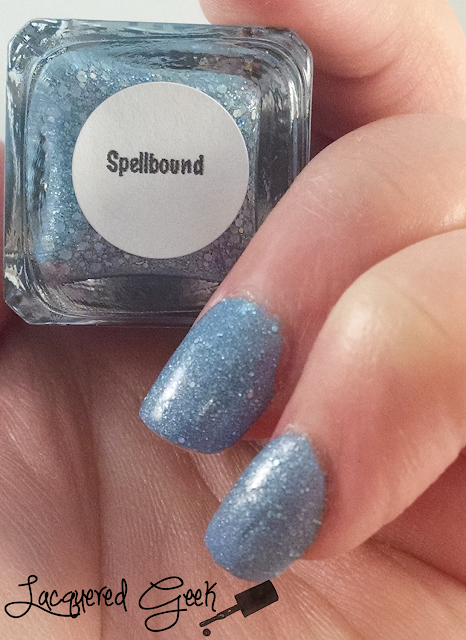 Spellbound is a steel blue pastel with a mix of varying sized holo glitters in a scattered holo base. The formula was just perfect. I used two thin coats for these photos, but I could have easily used a slightly thicker coat, and gotten by with just one coat. 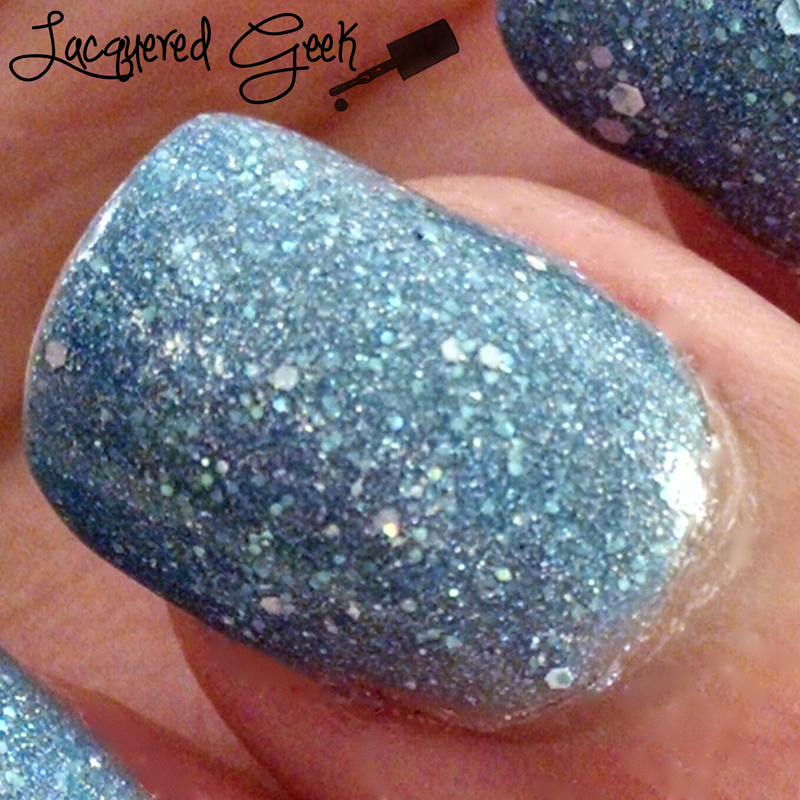 All of the glitters do cause it to dry to a somewhat textured finish, but a good thick coat of top coat smooths it out. I really loved all the larger glitters. I thought that they added such depth. The color reminded me a lot of Cinderella's dress. Spellbound, and the other colors from the Cast A Spell Part 3: The White Witch Collection, are available now from the Glam Polish website, and they offer shipping to Australia and the US. For shipping to other countries, check out their list of International Stockists. So what do you think of this beauty? 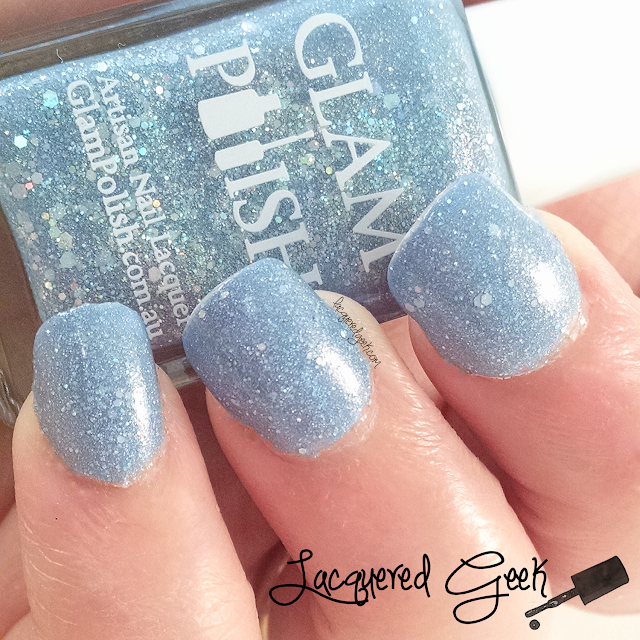 Have you tried any other polishes from Glam Polish? Do you have any plans for the Memorial Day weekend? I hope it's a safe and fun one! A great shade of blue!! Lovely swatch! I love these! They remind me of Zoya Pixies minus the texture. I knew that they reminded me of something but I couldn't put my finger on it! That's exactly what they remind me of!! Such a lovely shade of blue!! Gorgeous swatches!! Very pretty! 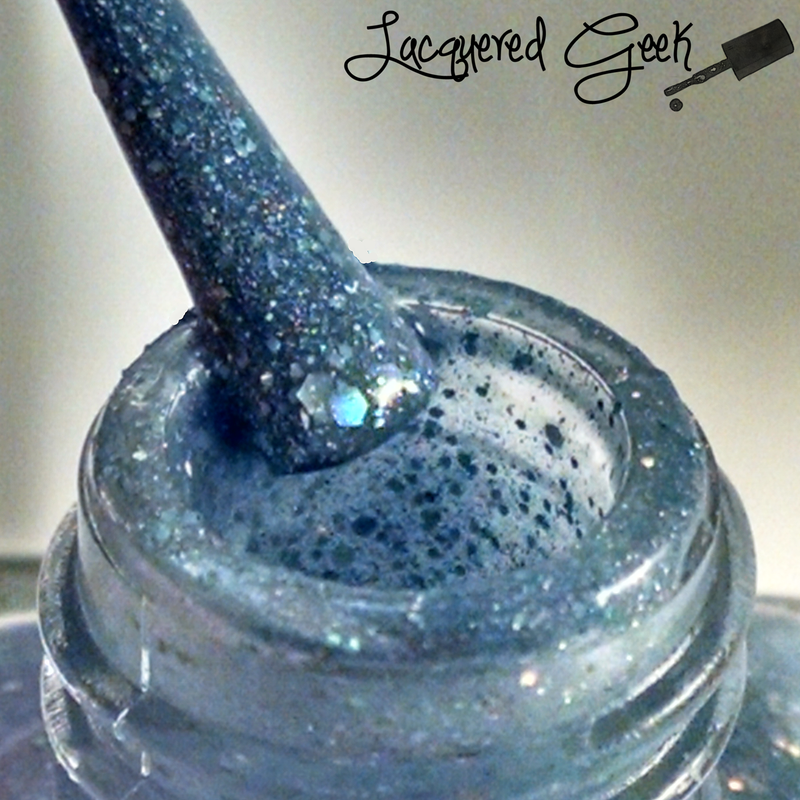 I also like the addition of the larger glitters! Ohhhhh, pretty! I don't have any Glam Polishes and have been wanting to try one. I lusted after them forever until I finally tried them! So far I haven't found one that I didn't like! 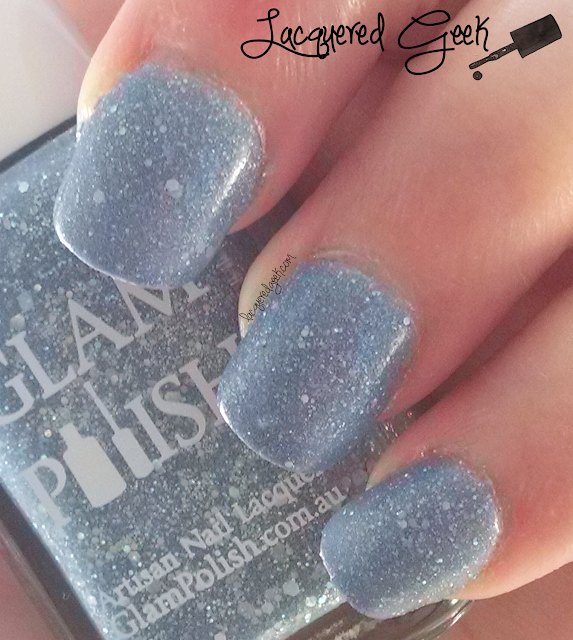 Very lovely shade! I need some Glam Polishes in my collection. You definitely do! I absolutely love them! I really need to add some Glam Polish to my collection. I have yet to see one that I didn't like.